NorCal MINIS | Northern California's Premier MINI Cooper Club: Racing Driver Butler-Henderson New MINI Brand Ambassador. Racing Driver Butler-Henderson New MINI Brand Ambassador. Official release: MINI UK is proud to announce British racing driver, Charlie Butler-Henderson, 37, as a new brand ambassador. 2016 will represent the first time Butler-Henderson competes as a MINI ambassador but he is in no way new to the track. He has driven in the British Touring Car Championship, MINI CHALLENGE 2015, Ginetta G50 Cup and the Trofeo Abarth 500 Great Britain. Butler-Henderson has racing in his blood, coming from a long line of motorsport heritage. His father, Guy, was a member of the British karting team; his Grandfather, Lionel, raced cars for racing legend Fraser Nash, and his sister Vicki, TV presenter on 5th gear and Top Gear, is known as the first woman to win a Maserati race at age 30 in the Maserati Trofeo support race at the British F1 GP in 2002. Butler-Henderson joins the MINI racing team, participating in seven MINI CHALLENGE events this season, starting on 23rd April at Donington Park. 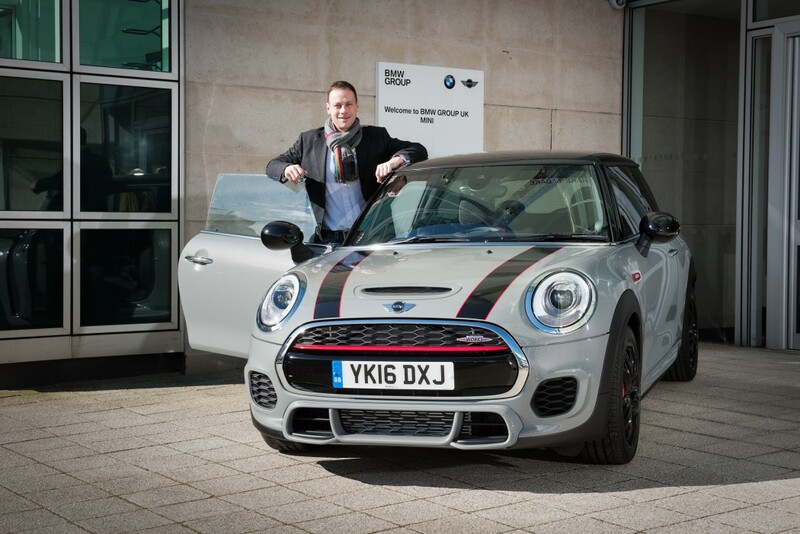 The MINI CHALLENGE is a series of races held at some of the UK’s most iconic tracks – Brands Hatch GP, Donington, Oulton Park, Silverstone and Snetterton – where fans of MINI and can tear around the circuits in the newest specially developed MINI John Cooper Works race cars. Charlie currently holds the 2015 MINI CHALLENGE Championship title, crossing the finishing line within two seconds of his competitors. Catch Charlie and all the action on Channel 4 next month when the MINI CHALLENGE series makes its debut with a thirty minute programme offering petrol heads some of the most exciting and thrill-a-minute racing in the UK. When Butler-Henderson is not racing, he has a MINI John Cooper Works Hatch to drive around the UK (pictured above). Launched in 2015, the MINI John Cooper Works Hatch offers premium performance for the road. With a 2.0 litre 4-cylinder engine and TwinPower Turbo Technology, the MINI John Cooper Works achieves top speeds of 153mph and reaches 62mph in 6.3 seconds.